Throughout my life knitting has been a comfort and a joy to me. With this website I hope to share some of that with you. 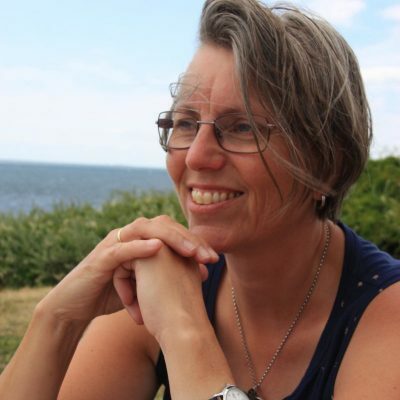 I live in a small village in the Netherlands, together with my husband and a flock of hens. We’re very fortunate to live in a lovely bit of countryside, and enjoy it as much as we can. My love of this small patch of our planet will undoubtedly spill over into my blog. 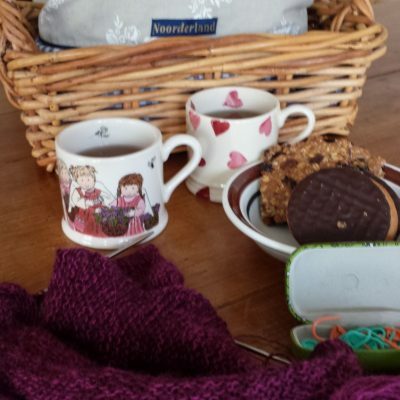 When I am not knitting, you can find me walking, cycling, reading, playing the harp, enjoying the company of our grown-up daughter, chatting with friends, drinking tea and watching the birds in our garden. Oh, and working, of course. After working as a translator for thirty years, I now work part-time as a web editor, which leaves me more time for… knitting! The blackbird (Turdus merula) is one of my favourite garden birds. 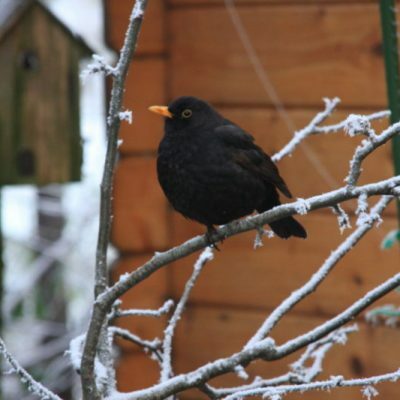 There is one particular blackbird that often keeps me company when I am in the garden. It stands out from the others because of its intensely black feathers and very bright orange beak. And also because it is the only one that actually follows me around. It’s got nothing whatsoever to do with knitting, but it’s got something to do with me. Besides, I just like the sound of its name. So that’s Merula explained. As for the Designs bit, well, that is something I am working on. I started knitting when I was five and I have never stopped. Which means that I have been knitting for fifty odd years. Crickey, I can hardly believe it’s been that long! 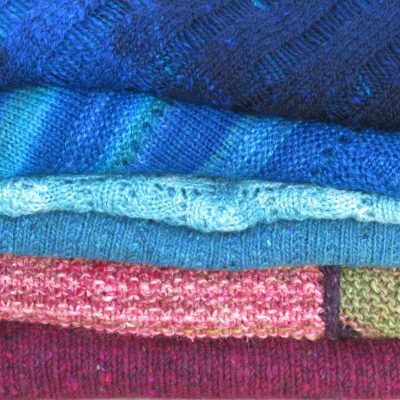 I have knit sweaters, shawls, scarves, cowls, ponchos, mittens, hats and socks (many, many socks) for myself and for others. I’ve knit cables, fairisle, lace, intarsia, slipped and dropped stitches, brioche and entrelac. But that doesn’t mean that I know everything there is to know, never have any knitting disasters, and always finish everything I start. Definitely not. After all these years I still make mistakes and I am still learning. My wish is to make Merula Designs into a relaxing, inspiring place to spend some time now and then. I love sharing the things I make and passing the things I learn on to others. And I would love to hear from you, too. Do please leave a comment whenever you feel like it. I’d appreciate that very much. What I wish most of all is that some of the things that make me happy will make you happy too. So make yourself a nice cup of tea (or coffee) and enjoy!